Terrill is also available for talks and Herb Walks. Groups are welcome to visit the garden over the summer months. Prior appointment is requested. 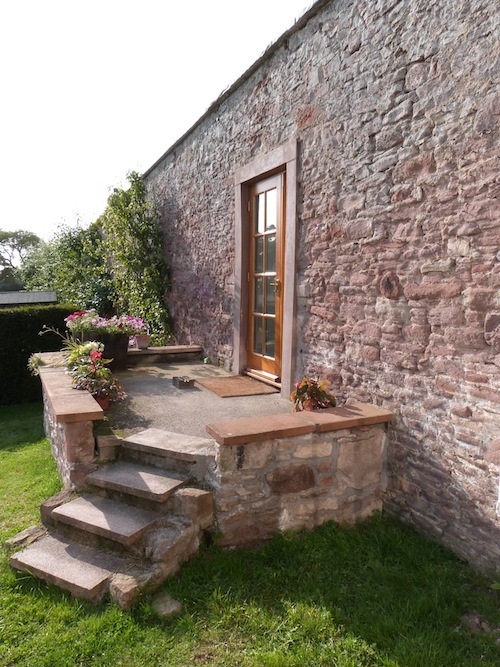 Angus Herbal Medicine Clinic is located at Logie, Kirriemuir DD8 5PN. Please don’t use SATNAV to find the clinic, else you’ll end up in a field! From the A90, take the A926 exit towards Kirriemuir. Just past Maryton and the “Welcome to Kirriemuir” sign on your left, take a very sharp left (left and left again) on to a single track road. Follow this road round the bend and take the first left sign-posted to the clinic and walled garden. From Kirriemuir, take the Forfar Road (A926) out of Kirrie and just past Thrums Vet on your left, bear right at Beechwood Place on to the single track road as the A926 bears left. Follow this road as above.